HCM City (VNA) – The annual HCM City Travel Fair, themed “Happy Summer 2019”, will take place from April 11-14 at September 23 Park in District 1. More than 40 travel agents, airlines and hotels will participate in the event, which is expected to offer nearly 70,000 inbound and outbound tours with discounts of 20-50 percent. Tran Hung Viet, chairman of HCM City’s Tourism Association, said that tourism agencies from 30 cities and provinces would join the fair with price incentives and promotion programmes. The HCM City Department of Tourism will launch nine city tours with incentive prices for students and workers in an effort to encourage domestic tourism. 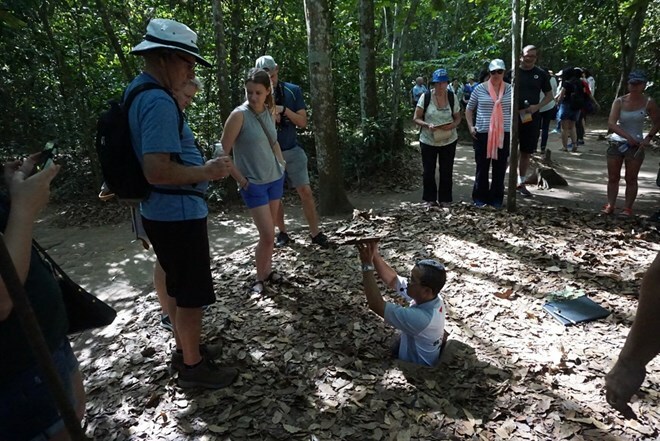 As part of the city’s tourism stimulus programme, the new tours include attractions in the city’s downtown, and Can Gio and Cu Chi districts. Nguyen Thi Anh Hoa, deputy director of the city’s Department of Tourism, said the new low-cost city tours aimed to encourage students to learn more about the culture and history of the city as well as promote the city as a friendly, safe and exciting tourist destination. Since the tourism stimulus programme was launched in November 2018, it has attracted more than 3,000 visitors, with foreign travelers accounting for 70 percent, she said.